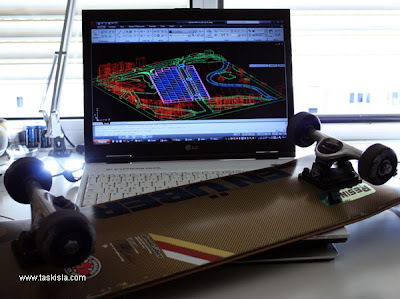 At last I've found another SKATEBOARDER ARCHITECT! You must listen to the Dr. Iain Borden's podcast "Skateboarding to Architecture" to revise your idea of urbanism. And if you're dedicated to Architectural Thinking, put your Blockbuster Card to good use once and get "Dogtown and Z-Boys" documentary. What is a living design? What does life in Urban Environment mean? What is the influence of an architect on people's lifes? in a different and wider perspective! Dr. Iain Borden is Director of the School of Architecture, Director of Architectural History and Theory and Professor of Architecture and Urban Culture at the Bartlett School of Architecture. Educated at the University of Newcastle-upon-Tyne, UCL, University of London and UCLA, Iain is an architectural historian and urban commentator. His wide-ranging historical and theoretical interests have lead to publications on, among other subjects, critical theory and architectural historical methodology, the history of skateboarding as an urban practice, boundaries and surveillance, Henri Lefebvre and Georg Simmel, Renaissance urban space, architectural modernism and modernity, contemporary architectural practice and theory, film and architecture, gender and architecture, body spaces and the experience of space. His photographs have been widely published both in his own publications and those by other historians and architects. Iain is a frequent contributor to conferences and exhibitions and has lectured widely around the world.